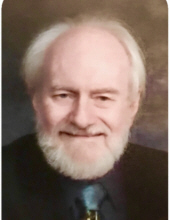 Roger Kent Romer, 70, of Middletown, passed away peacefully with his family by his side on Wednesday, April 3, 2019, at University of Cincinnati Medical Center. He was born in Dayton on December 15, 1948 to parents Otto William and Pauline (Gardner) Romer. Roger had retired from Sears as a stock manager after over 20 years with the company. He was a proud and active member of Holy Family Parish, A.A. and Knights of Columbus Council 1610. Roger loved music, books, movies and plants. Mr. Romer is survived by his wife, Jane Louise (Simonton) Romer; daughters, Jennifer (Ken) Rickabaugh & Maureen (David) Annable; grandson, Samuel Annable; and his beloved dogs, Max, Jack & Trudy. Mass of Christian Burial will be held Saturday, April 6, 2019 at 12:00 noon at Holy Family Parish - Holy Trinity Church, 201 Clark Street, Middletown with Father John Civille as celebrant. Visitation will be prior to the service from 10:00 am - 12:00 noon at church with Knights of Columbus service at 11:30 am. In lieu of flowers the family asks that a donation be made to the charity of donor’s choice in memory of Roger. To send flowers or a remembrance gift to the family of Roger Kent Romer, please visit our Tribute Store. "Email Address" would like to share the life celebration of Roger Kent Romer. Click on the "link" to go to share a favorite memory or leave a condolence message for the family.